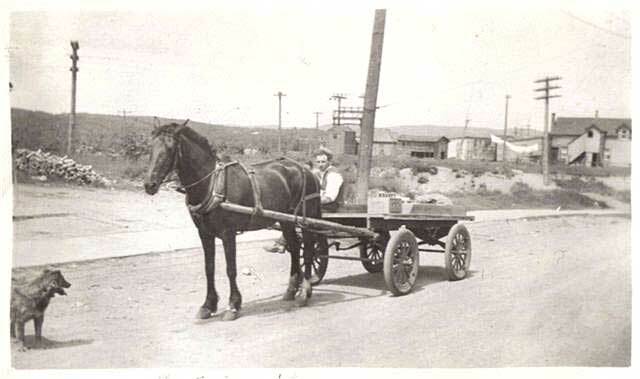 Charles Joseph Yackison delivering groceries for Drago’s Grocery Store in 1938 when he was 16 years old. He then hired on CN Rail as a Car Checker and later joined the RCAF. Charlie returned to Capreol after the war was over and transferred to Montreal where he spent his entire career with CN as a Yard Foreman until he retired. He has now retired, 85 years young and keeps active looking after his Garden. His daughter and grandchildren live on the same street in the Rosemount area.